With one day left to enter this legendary giveaway, it is time for me to give you a recipe. I use my T-fal pans every single day, but have yet to blog about them! They just pop right out of my cabinet, do their job and then i barely have to rinse them to clean them--- so they're right back in their home before I know it. 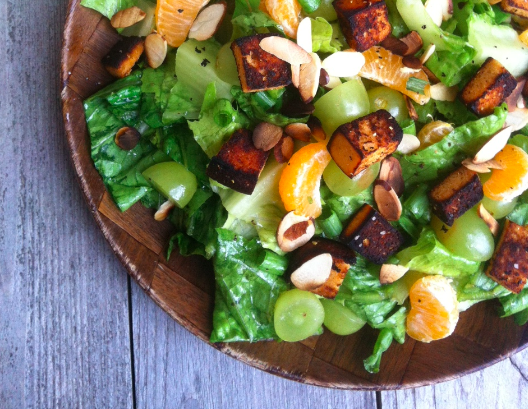 Well, tonight I made a delicious salad with something I've missed since going paleo, croutons. 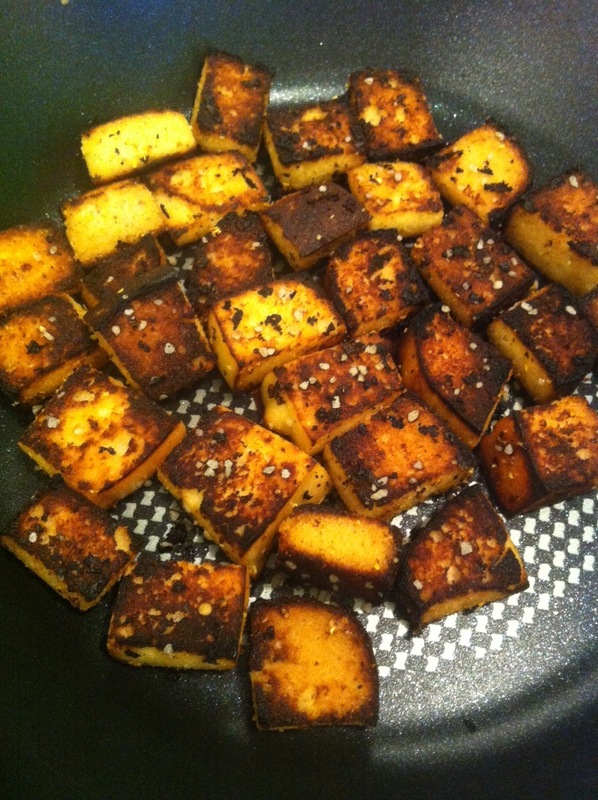 These are paleo croutons! Toasting them up in a T-fal pan makes them tremendously easy, too. 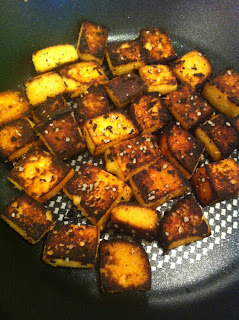 Chop bread into 1/2" cubes. Melt the butter over medium high heat in your T-Fal non-stick skillet. You'll know its ready when the little red dot in the middle is solid red (when it's cool, it has lines on it). Toss in the bread. Keep tossing the crumbs with a rubber spatula the whole time. When the bread has absorbed all of the butter, after about a minute, toss in the lemon zest. Keep toasting until they're crispy and almost burned. Drain on a paper towel. *You could use whatever your favorite paleo bread recipe you find out there -- hello pinterest! Whisk together the lemon juice, oilive oil, salt and pepper in a large bowl. 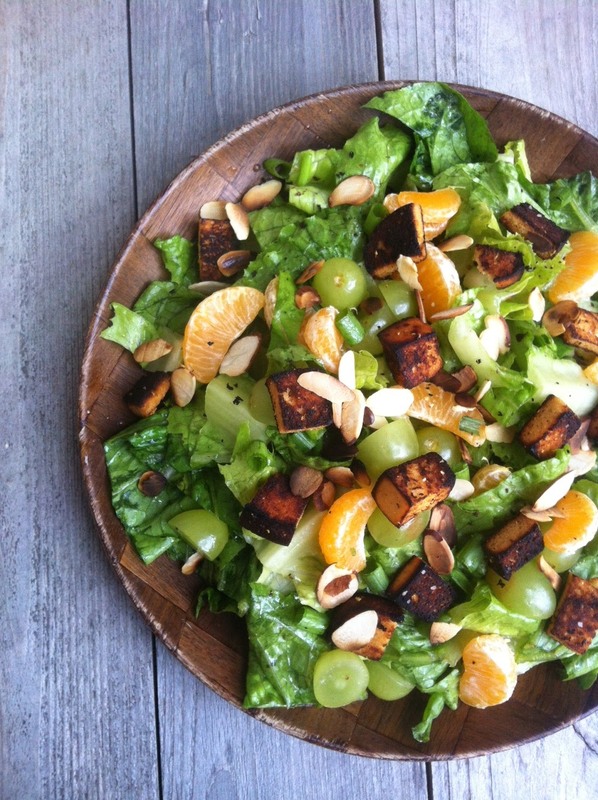 Toss in the romaine to coat well. Top with remaining ingredients to serve. 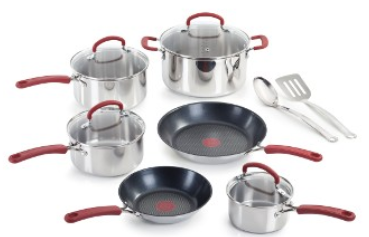 This set is made of a new non-stick stainless steel material called ProMetal TM. And these particular pots and pans have a red dot heat indicator that lets you know when things are ready to go. This whole set would spruce up any kitchen, and I’m going to be reviewing a set as part of my contest, so stay tuned. You can learn more about this unique T-fal cookware here. I've been using these pans for the past few weeks and I am hooked. I pushed all my fancy All-Clad to the back of my cabinets because, frankly, they don't work anymore. These T-fal pans are awesome. They do NOT stick! Be sure you store them correctly. Never stack them, use metal utensils anywhere near them, or use abrasives to wash them. Fortunately, they work so well you hardly have to brush them off to get them sparkly. And food slides right out, so no scraping necessary. After you sign up for Cooking Planit (they'll check and make sure you have an account before announcing you are a winner), and checking out the site, I'll need you to leave me a comment below, telling me which dish you are going to cook first! Then leave your email address so I can find you. I'm announcing the winner Thursday, September 19! There are so many recipes that look good:) I would cook the Soup and Pasta meal,Yummy!!!! https://cookingplanit.com/recipe/coconut-chicken-satay-with-red-curry-sauce is the recipe I might try.My email is: the saven maven at g(oogle) mail dot com.